I did it again! 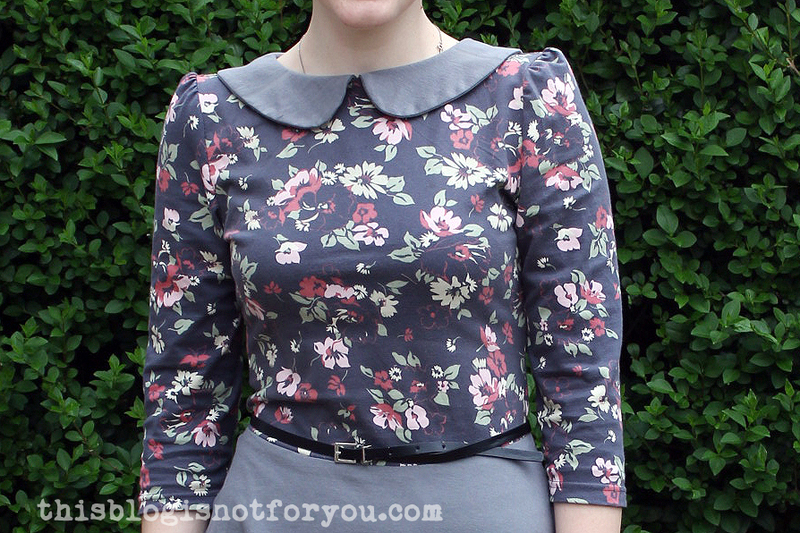 I made another version of Kitschy Coo’s Lady Skater Dress! Of course, I couldn’t just stick with the original pattern, but had to make some alterations. 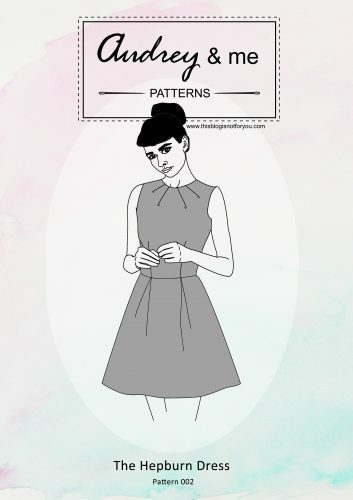 I re-used my altered puff-sleeve pattern from my previous pinstripe Lady Skater and also added a Peter Pan collar as I’m not a big fan of the original t-shirt neckline. 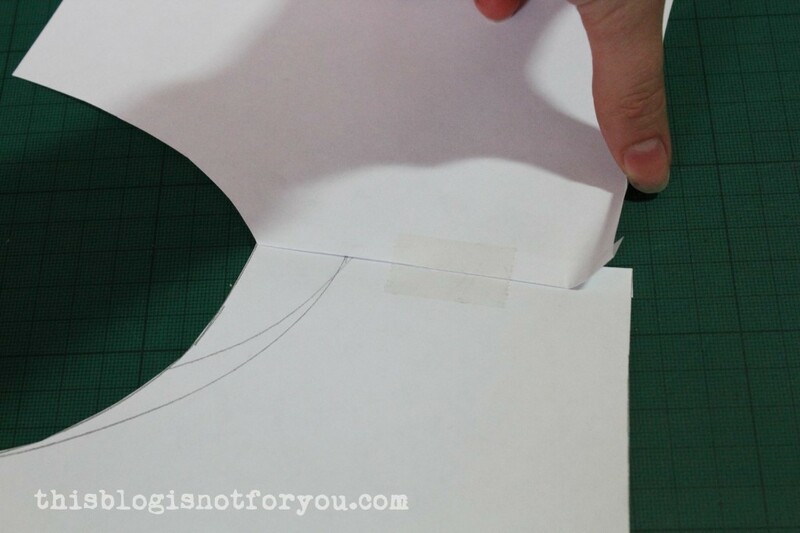 Here’s how I drafted the collar: I taped front and back of the bodice pattern together (folding away the seam allowance) so that they were overlapping a bit on the armhole edge (see below). This way the collar lies flatter. 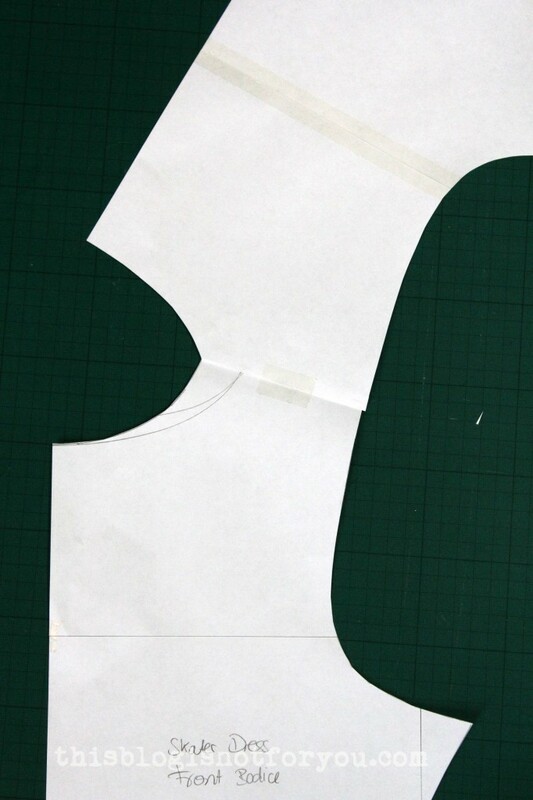 Drafting the actual collar (don’t forget to add seam allowance! 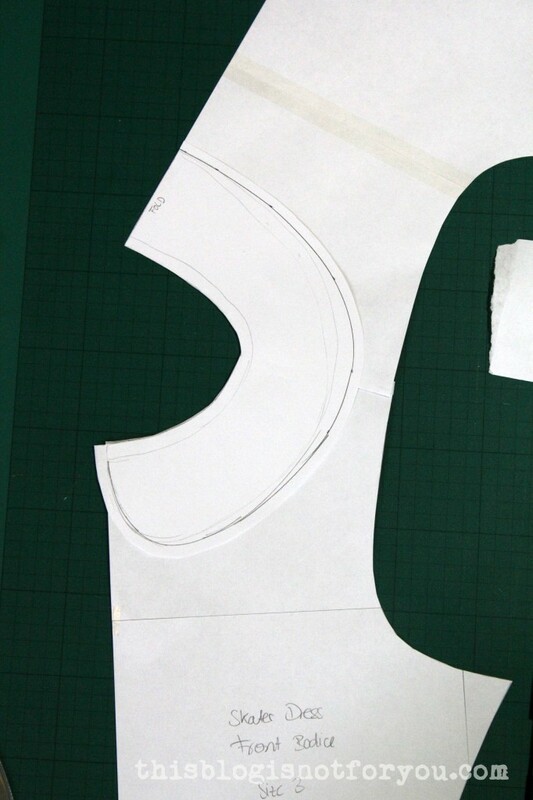 ): I handbasted most of the seams of the collar before machine sewing them. 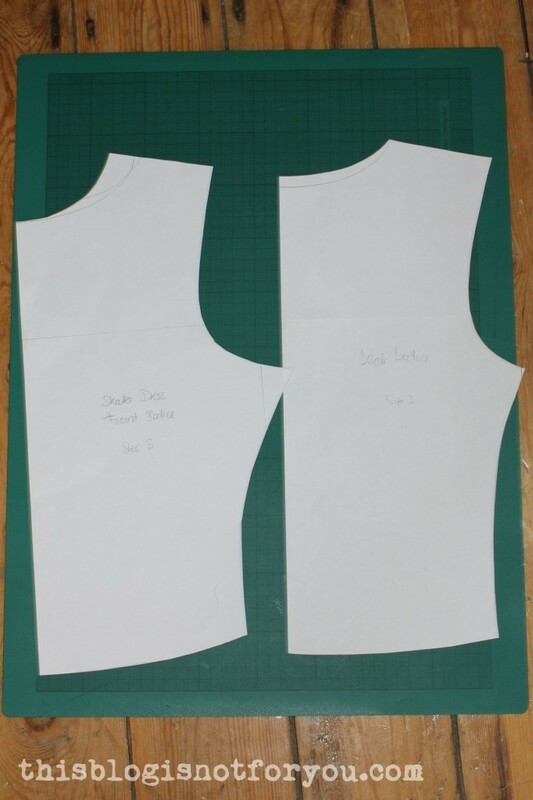 Parts of the collar are cut on the bias and might stretch and shift, so handbasting seemed like a good idea. I also basted the collar to the dress, turned the raw edges over inside and stitched the raw edges to the dress with a zig zag (which you cannot see from the outside as the seams are covered by the collar). 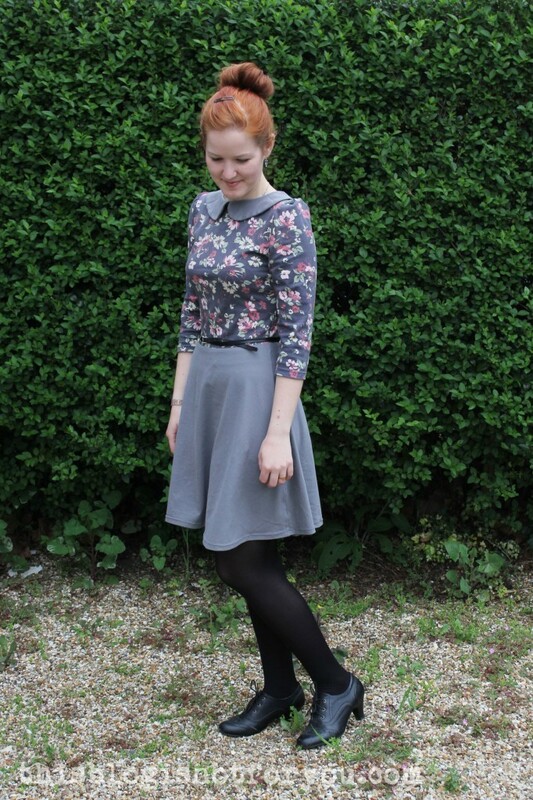 I love my second Lady Skater Dress as much as I love the first one! I wore it already (way too often) over the holidays and in my head I’m already making more! These pics were taken on one of these days where I was just not in the mood for taking pictures. Do you know these days? Not even my new hair colour seemed to help. Taking pics feeling all of your neighbours are watching you is so awkward! I can see why you have been wearing this a lot – it is gorgeous! 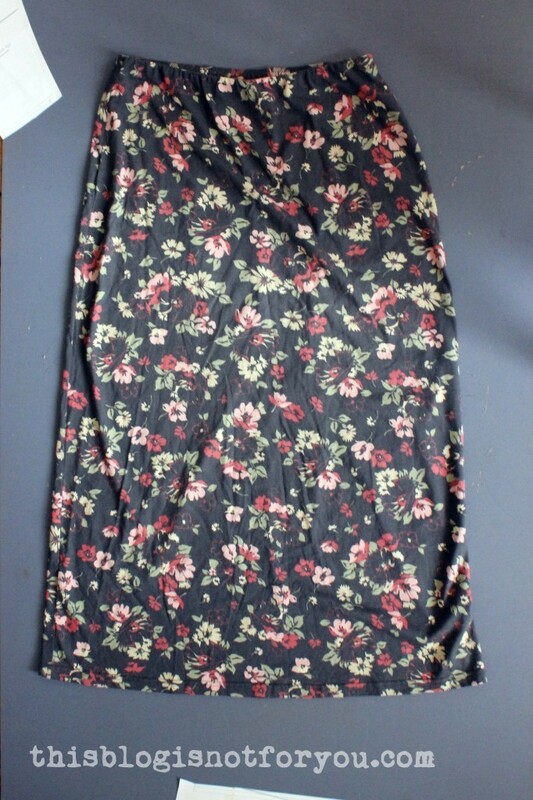 I love the colours you have chosen, the light grey works so well with the floral. OMG this is absolutely adorable!! You did great with the colors, and I think this dress is great for fall, winter, and spring! I’d wear that a lot too- very cute!! 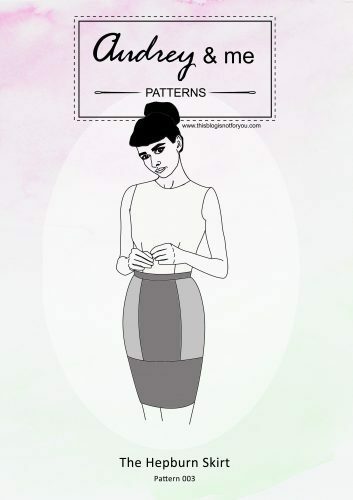 I need a pattern that I’ll use over and over and over- I can’t wait til I find the one that fits me perfect and I can make a million things with it. 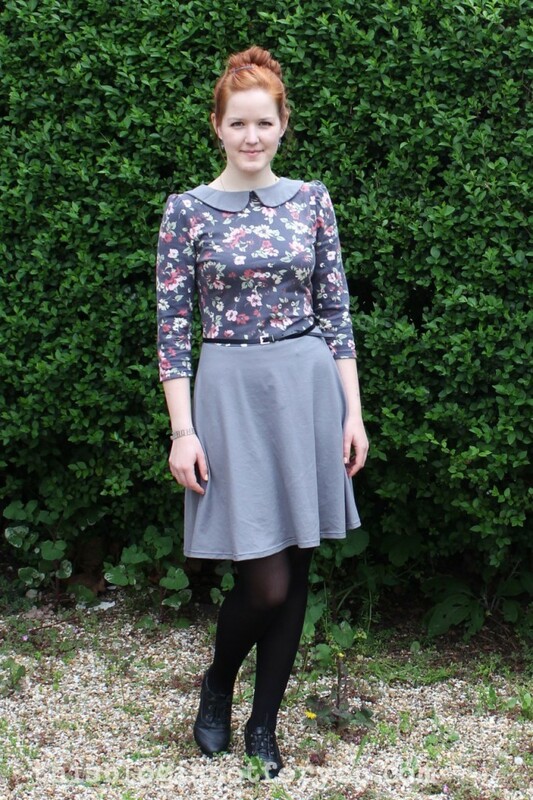 I think the Lady Skater is your staple pattern:) it just looms so good on you! This is gorgeous. 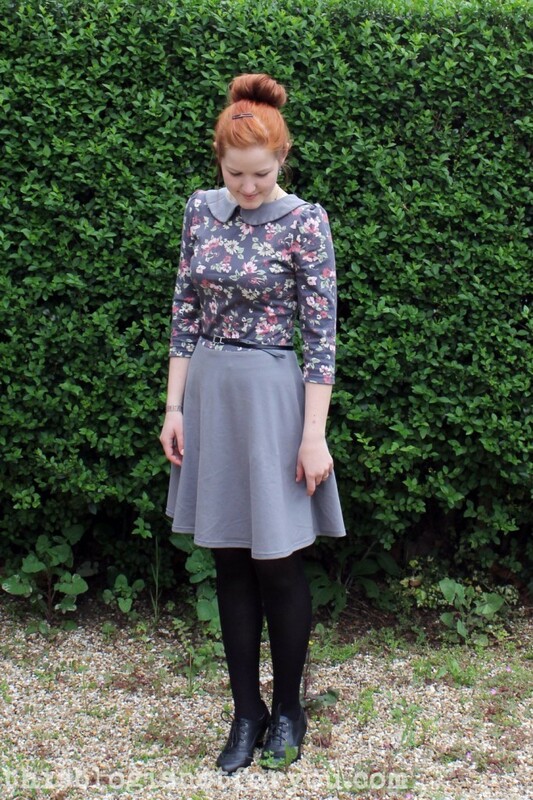 I LOVE the floral fabric and the Peter Pan collar. 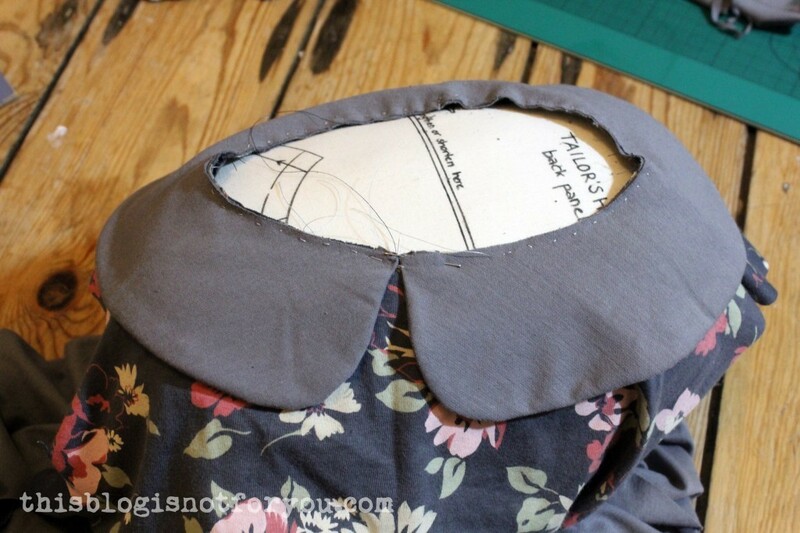 I have so much love for Peter Pan collars! 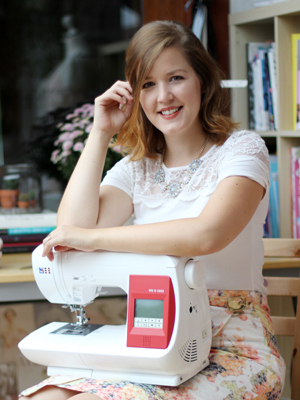 I am unbelievably impressed that you made a bodice and sleeves from a skirt. I bought this gorgeous cotton trench coat that I was going to cut into two and make shorts out of the bottom half a cute cropped jacket for the top half and 10,000 years later, it’s sitting in the bottom of my drawer because I’m too scared to mangle it–especially since I can’t get that fabric anymore! Oooh, I love this 🙂 It’s so cute, but very grown-up at the same time. Might have to try something similar, but I’m not sure I’d have the patience for it. Well done! Thank you Thea! 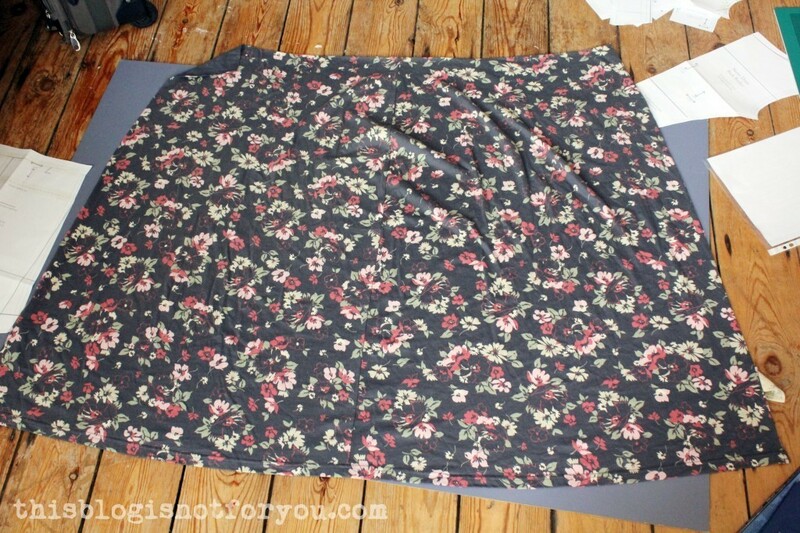 You won’t need much patience as it is a very quick sew (as you will know, you’ve made some Ladyskaters, too!) 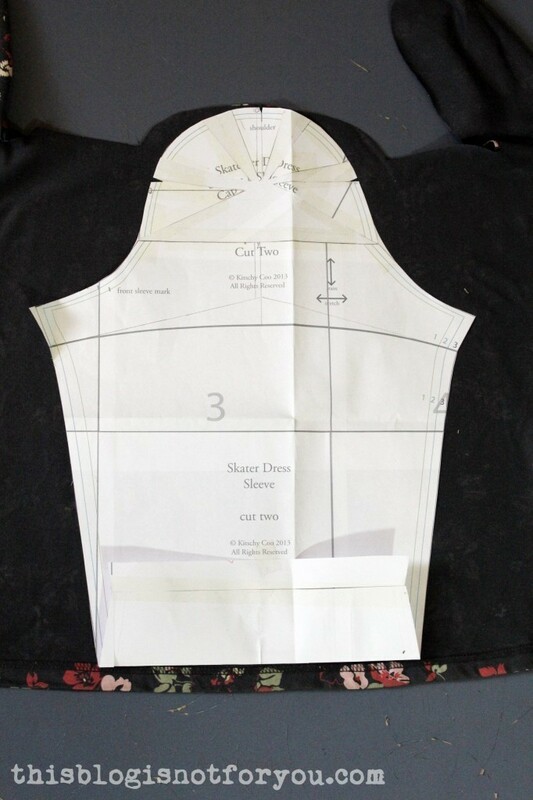 and drafting the collar is quite easy. 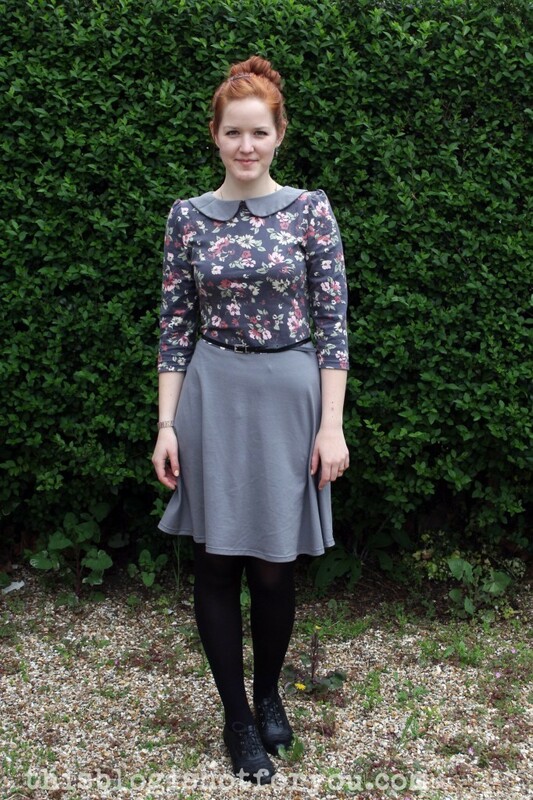 This is such a pretty version of the skater, Love the collar too.